EACH year over 12 hectares of land is needed to dump the 7,000 tonnes of waste generated in Selangor every day. The authorities are finding it hard to find replacement landfills, and are fast looking for alternatives for waste management. For years the country toyed with the idea of incinerators, believing it to be the best solution. 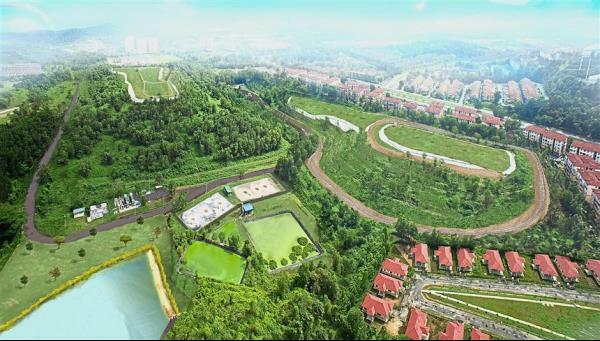 One of the most controversial projects was the suggestion to build one in Taman Beringin, Kepong. Because of these problems, many quarters such as companies managing landfills are looking for safer options including trying to extend the lifespan of existing landfills. The 67ha Jeram landfill houses an electricity power plant that produces electricity from the greenhouse gases released by the rubbish as well as a leachate treatment plant. The Jeram landfill in Kuala Selangor is one of the few at the heart of the plans for a prolonged lifespan. 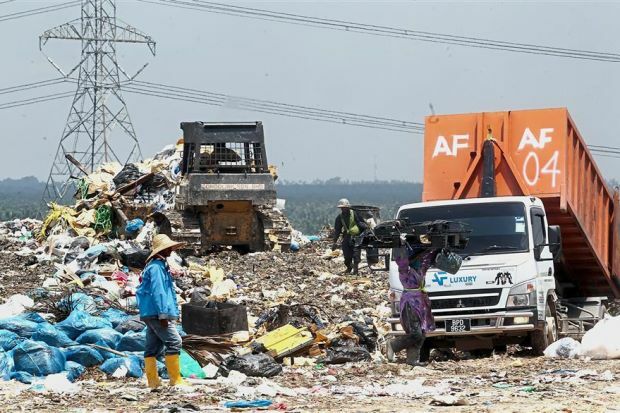 Currently the largest landfill in the country, it serves six local councils in Selangor that dumps 4,000 tonnes of waste every day on average, which is 20% of the total waste generated in the country. The councils using the facilities in Jeram are the Shah Alam City Council, Petaling Jaya City Council, Subang Jaya Municipal Council, Klang Municipal Council, Ampang Municipal Council and the Kuala Selangor District Council. Managed by Worldwide Holdings Berhad, the 67ha Jeram landfill started operations in 2007 and the company’s Environment Division head Zamri Abdul Rahman said the idea was to prolong Jeram’s lifespan for 30 years. The landfill was actively being used, with about 600 trucks passing through the weighing bridge to dump rubbish during its operating hours from 7am to 8pm daily. What was once a flat land in Jeram is now a mountain of rubbish that is producing harmful bacteria and slowly taking up all available space. “We hope to use technology to turn waste into energy because landfills are still needed,” he added. Zamri said as people continue to generate rubbish turning the waste into productive energy may very well be the future of waste management. 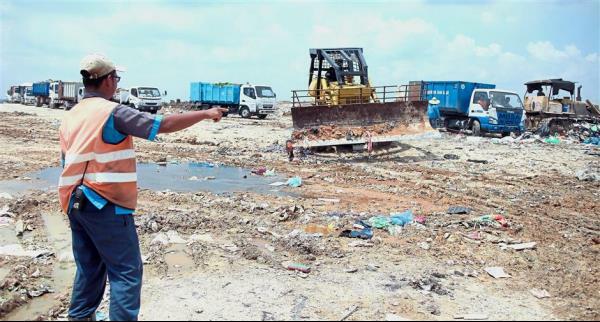 In fact, the Jeram landfill actually housed an electricity power plant that produced electricity from the greenhouse gases released by the rubbish as well as a leachate treatment plant. There are four pipelines laid amidst the mountain of rubbish that transported the gas to the power plant that generated 1MW and was supplied to Tenaga Nasional Bhd. Rubbish also produced leachate and to clear the soil of this, pipes were laid to transfer the leachate to three different ponds. The ponds are lined properly to ensure the leachate do not mix with groundwater or rainwater and each represented the first, second and third stage of the treatment process. After a 24-hour cycle, and careful monitoring of treatment procedures, the ponds produce crystal clear water fit to be released into the nearest river, Sungai Sembilang. Based on the current capacity of the treatment plant, it can treat up to 450m3 (cubic metres) leachate. “We want to minimise the environmental impact and this is a challenging task because of the characteristics of waste and the amount of rainfall we get here,” added Zamri. Waste water, added Zamri, needed careful handling by industry experts because of its bacterial content. Worldwide Holdings prides itself on producing homegrown talents that grow with the company to understand and better manage waste. “It is not easy getting competent people in the field and there are only some 40 to 50 waste management engineers in the country,” he added. An aerial view of the Worldwide Landfills Park Air Hitam, Puchong which has been repurposed. Although having the right expertise may speed up the work, there are external challenges that hamper the progress of the sanitation method in the landfill. One such problem is ample amount of plastic found in landfills. Zamri said most people would assume companies like Worldwide Holdings would prefer having more rubbish, however, for them, recycling was an integral part of maintaining the process flow. Plastic is not biodegradeable and impedes the flow of gas and leachate. “Plastic bags prevent leachate from travelling down into the pipelines to be carried to the pond for treatment. “This will contaminate the soil and make sanitising the area difficult,” he added. Apart from that, the waste will not settle, affecting the landfill operations in the process. Zamri said the awareness level for waste disposal, recycling and management had to be increased for this purpose. “The amount of waste generated will continue to grow due to urbanisation and we hope the public will increase the rate of recycling. “The more rubbish there is, the harder our job because we will have to find replacement landfills,” he stressed. The team, however, is open to the challenge, as knowing they are contributing to the betterment of the society and environment, keeps them going. Their daily rewards include the final results of the treatment plants and visits from school and university students as well. “Knowing that we can share our knowledge with children as well as expand and provide expert advice both locally and internationally, is a gift itself,” said Zamri.